Let’s talk about moods, shall we? I feel particularly qualified to write about this subject matter because I am a Cancerian and we are notorious for being moody. So, the moods? I know all about them. Jokes. I’m not a qualified psychologist although I certainly do feel things and through bullet journaling, I’ve learned about the importance of taking note of how I’m feeling. Tracking my moods has allowed me to not only capture how I’m feeling but also to articulate why I’m feeling that way. So if at the end of the day I conclude that my general mood was anger, I can reflect on why I felt that way, what I could have done differently, and how to avoid feeling that way again in general. Conversely, if I conclude that I’ve been happy that day, I take note of why I felt that way and try to repeat key actions or behaviours that stand out as the cause of my happiness. There isn’t always some grand epiphany, sometimes I find I was pissed off because I didn’t like someone’s tone and that annoys me for the whole day, or I’m happy because I got free ice-cream. The best thing though, is that tracking my mood allows me to notice a pattern and often that pattern informs me that I’ve either been making good or bad decisions in my life. 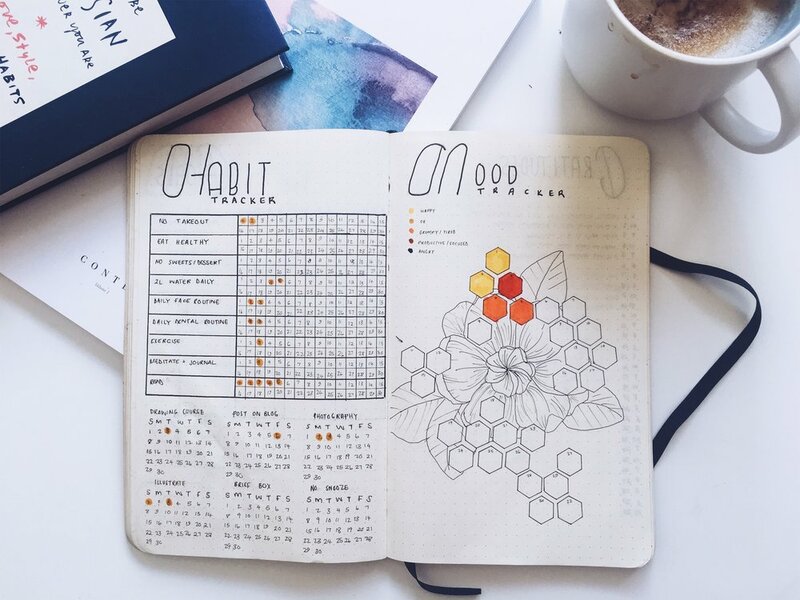 An example of a mood tracker I created this year. The process I follow for how I use my mood trackers is pretty simple: I create a template in any design that inspires me with 28/30/31 blank spaces, then I create a key using different colours, usually following a theme (warm colours, cool colours, “pinks”, etc), and simply colour in that day’s space in the appropriate mood colour according to the key. So that’s why & how I track my moods. And in the event that this post has inspired you to track your moods too, I’ve created free trackers for you to use in November. You can print them in either A5 (page 3 & 4) or an A4 (page 1 & 2). Let me know how it goes for you! Does tracking your mood help you out in any way?